I'm all about saying yes to an adventure. Heck, I'm all about saying yes to any type of plan or get together. After all, I'm an only child... constant entertainment is required (well, that and wine). 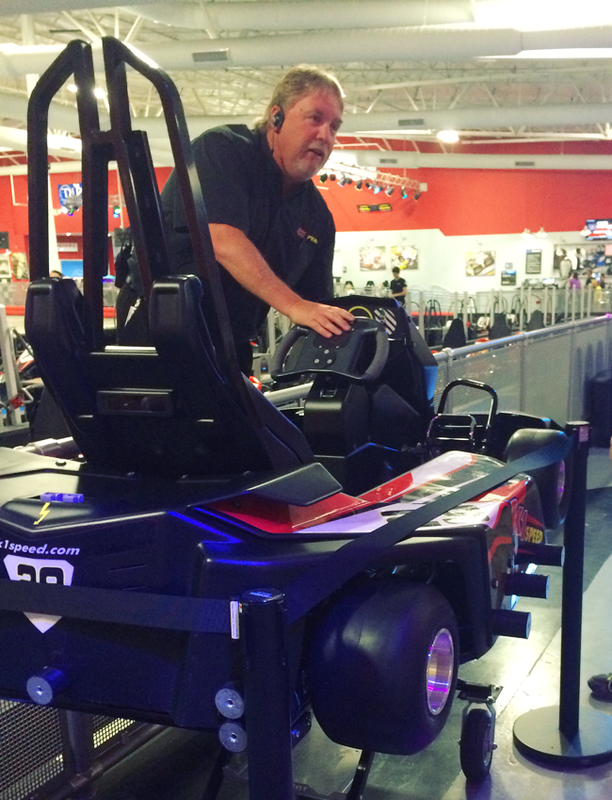 So when K1 Speed asked if I wanted to come in and try out their go-karts, I couldn't say yes fast enough. Huh, huh, huh.... see what I did there? 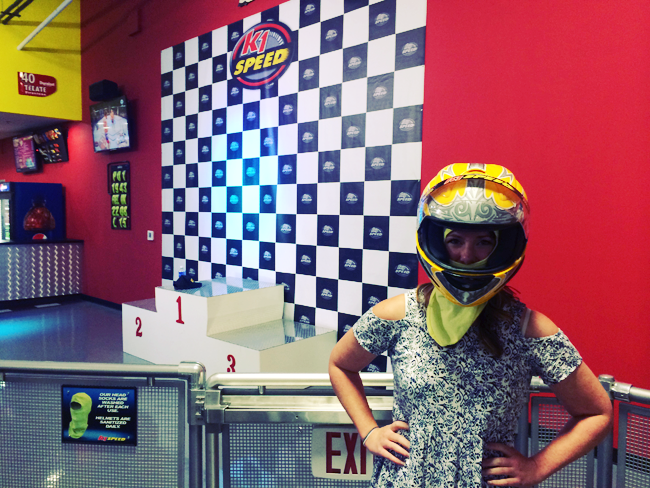 I love roller coasters, and I love driving 9 miles over the speed limit (9, you're fine, 10 you're mine...) so, ipso facto, I would obviously love karting! Side note: I'm not sure if I used ipso facto there correctly, but I thought it sounded nice, so just go(kart) with it. 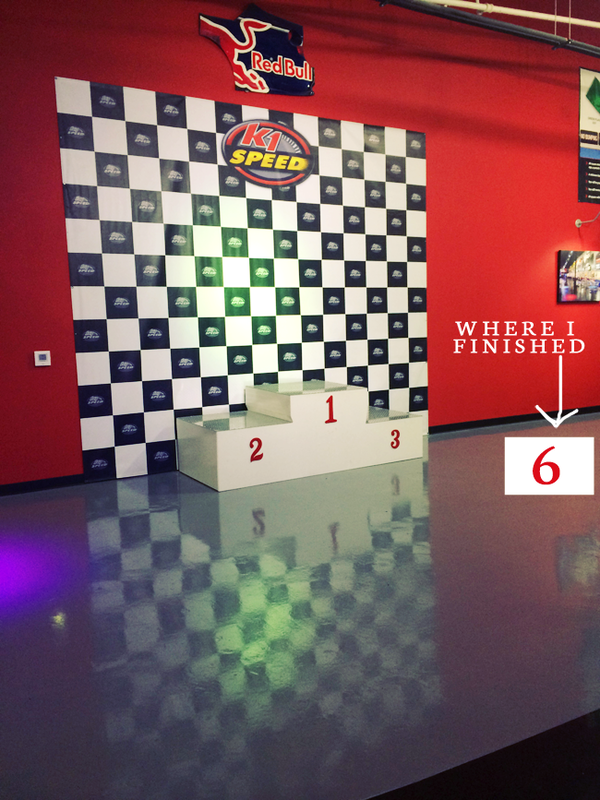 So last Wednesday night I rounded up some friends, and we headed to K1 Speed in Arlington, Texas. You start by registering on their computers, which then allows you to track and keep up with all of your races going forward. Next, the rules, flags and karts were thoroughly explained to us. Safety was their top priority, and for that I was thankful! 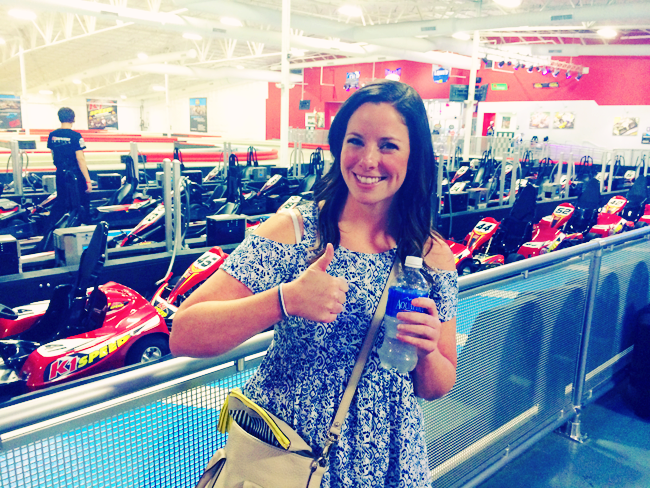 Because, well, I was a wee bit scared when I heard the karts could go as fast as 45 miles per hour. Not that mine topped more than about 17 feet per hour. Spoiler alert: I'm not good. We then pulled our helmets on, and strapped in to compete in 14 laps around the indoor track. I asked what the policies on taking selfies and driving were. Unfortunately that is frowned upon, so I don't have any in-action shots for you. But what I can tell you is the place number I finished, yeah, it didn't have a congratulatory place to stand and celebrate. Even though I was the slowest driver of the group, finishing in 6th place (out of 6), it was still so fun and exhilarating! I would do it all over again in a heartbeat. 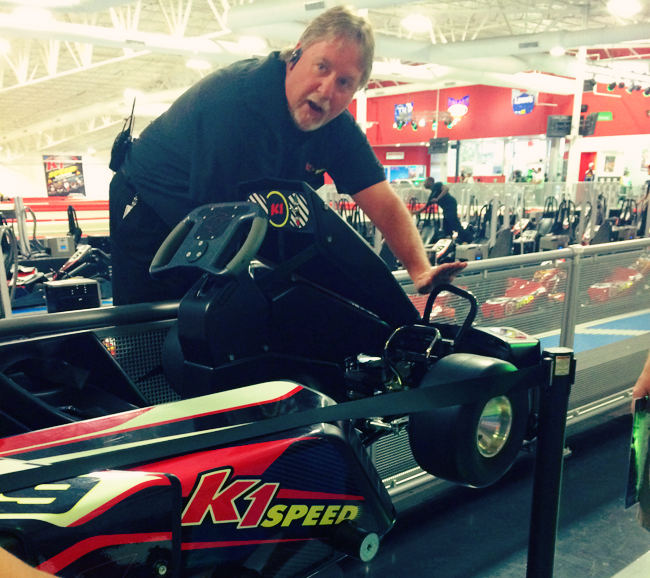 K1 Speed is actually a national chain, with 22 locations all over the country. 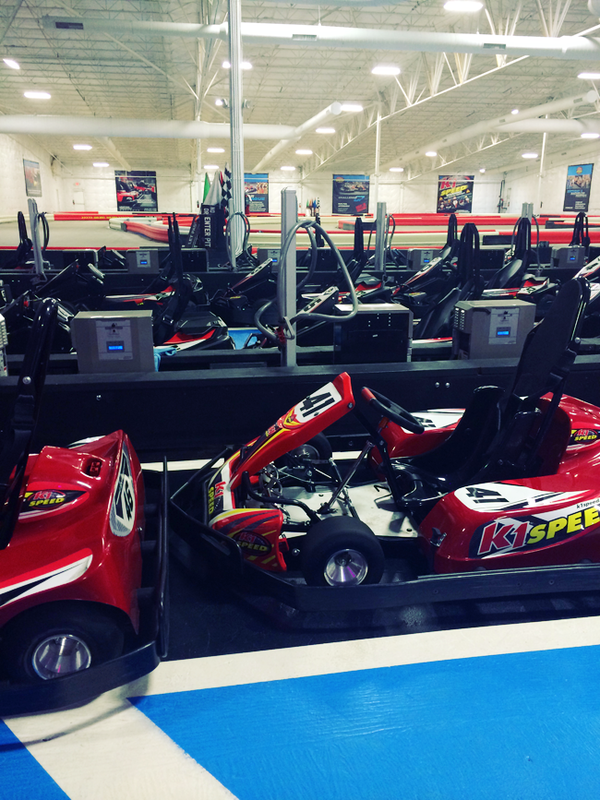 BUT, for my girls in DFW, they are offering Dallas residents the chance to hone their racing skills with a $5 discount at its Arlington location! 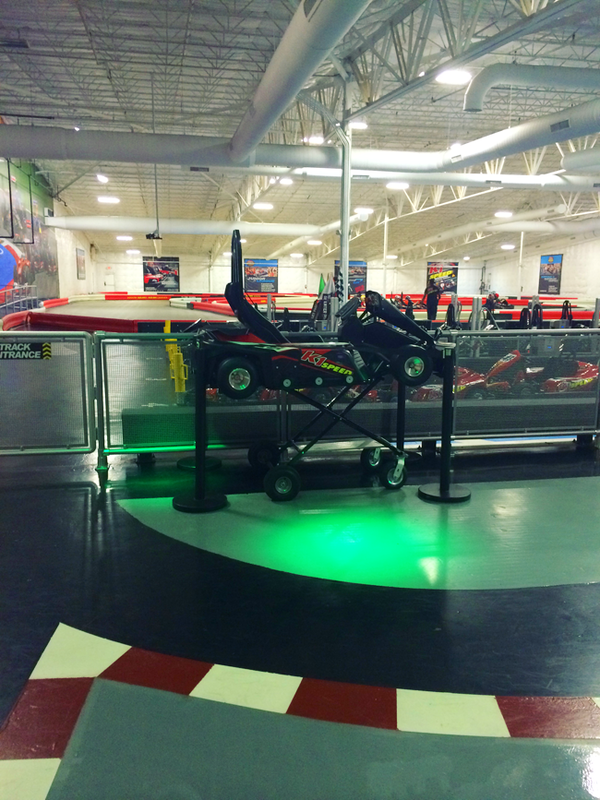 In an effort to support economic and tourism efforts in Dallas, a ticket stub from a Dallas-area attraction earns K1 Speed guests $5 off an “Arrive and Drive” pass to race at speeds of up to 45 mph for 14 laps! They are located near the Rangers ballpark, so might I suggest a little Sunday afternoon baseball, followed by some go-kart action? Might I also recommend taking me with you when you go? Might I also recommend the Rangers to stop sucking up Major League Baseball? Le sigh. Before I sign off for the day, I'm teaming up with my girl Alex for a little Q&A! Alex is no stranger to VTIM, make sure you read her first takeover post, A Guide To Irish Pubs! 1. So you're a Texpat! Clever! Tell my readers what that means. A Texpat is a Texas expatriate. We Texans tend to think we're special, so we coined our own expatriate term. I am a Texpat in Germany, specifically. 2. What's the biggest change for you, now that you live in Germany? What do you miss about the states? The biggest change is without a doubt the language barrier. I now have a love-hate relationship with this aspect. I have to be listening intently to understand German, so I find it oddly relaxing in the city, not constantly eaves dropping on others conversations; you just can't help it when it's near and audible. Alternatively, on my sluggish days, it would be nice to just speak English. 3. What's your favorite drinking game? Do people play drinking games where you work, or do they just sit around and hit on you? My favorite drinking game hails from the southern states. It's called Civil War and is a 6 person beer pong variant with higher speeds as the shots are constantly fired. Most of the drinking games at the Irish pub revolve around rolling a set of 5 dice. 4. 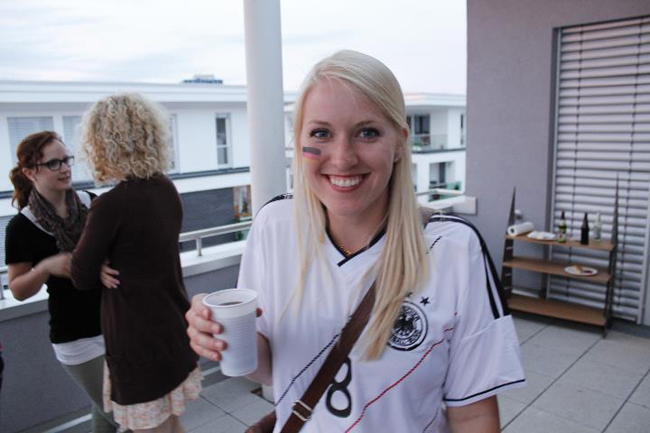 Well, Germany won - were the World Cup shenanigans just insanity there? Any good photos for us? I might still be recovering from the world cup win. This is not an exaggeration. It was simply blissful. Can I recommend to everyone living in a country while they win a world cup? I realize this is hard to predict, but you've just gotta pick a good contender and ride it out ;-) It helps if they drink like the Germans. 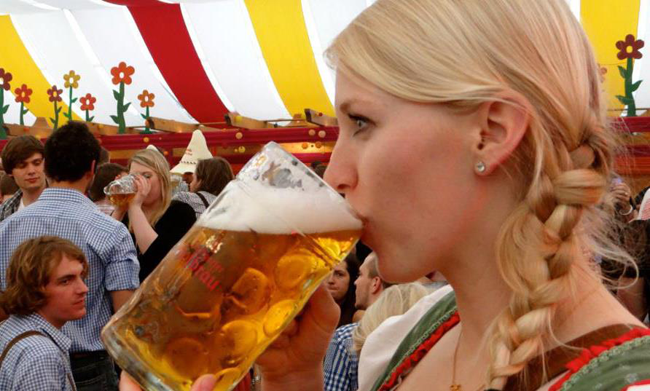 Ok, maybe I can just recommend moving to Germany; it's kind of great. 5. You have a seriously cool map showing all the places you've been. What a list! Where are you just dying to do next? As I've hit a lot of the European mainland, I have my sight set on those Scandinavian nations. After a visit to Copenhagen, I've been dying to see what more these Nordic countries have to offer. This will definitely be a summer activity as this Texan cannot deal with the cold. 6. What's your favorite German food? What's the first thing you'd order back in the U.S.? My favorite German food might just be a Bavarian breakfast of pretzels, white sausage (Weißwurst) and sweet mustard. I also adore Maultaschen, basically a big, fat, German ravioli. I highly recommend ordering these packs of joy at your next German restaurant experience. However, American food still owns my heart, particularly Tex-Mex, and I literally drink salsa from my favorite Mexican joint upon arrival on Texas soil. 7. Which form of social media do you use the most? That's a toughie, personally I love Instagram the most, but blog-wise, I'm probably chattiest on Twitter. That looks like a fun trip to the tracks! I'm a pansy thought and would probably be too scared to drive haha. It doesn't help that I'm the least competitive person ever. And I knew she looked familiar! I went to high school with Alex. How fun! C and his buddies did that a few weekends ago during a bachelor party, and I was so jealous. There are a few K1 locations in our area, so I think I need to make this happen soon. Looks fun, we have a go kart at the house I love riding it. Every time I do this I get so sweaty! It's fun, but I'm a sweaty mess and then the next day it feels like my forearms got kicked by a horse repetitively for an hour! HAHA! But it is still fun, despite my gripes! That sounds like so much fun! There's a K1 near me, but I haven't been there before. I should check it out. And, yeah...poor Rangers. This is definitely not their year. bahah. 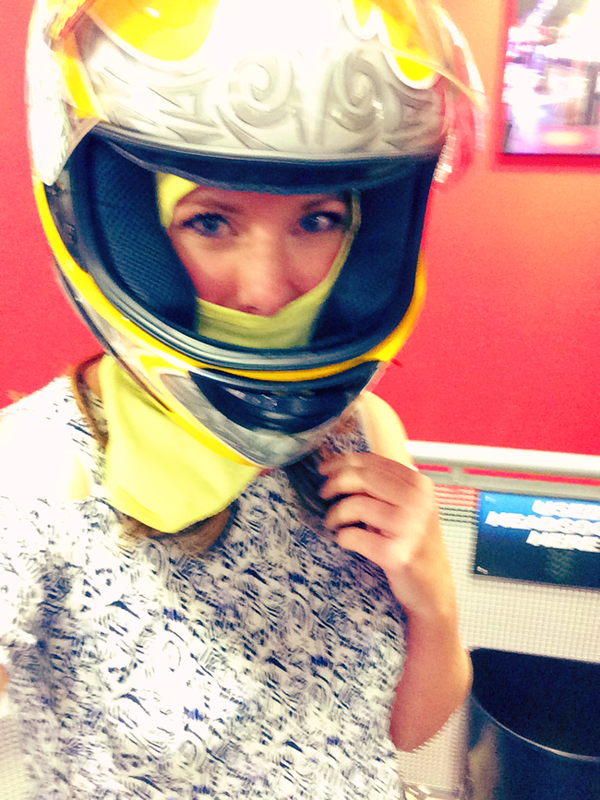 I am the worst Go-Karter. this is so awesome! 14 laps- that's a lot! I want to go sometime! fun! i was actually thinking of going to the local k1 for my birthday next month! SO glad you shared this! It's always nice to add something new and unique to our Dallas Must-See list!